Paul Weller In November Issue Of Uncut! – Paul Weller News! Paul Weller In November Issue Of Uncut! 1 Comment on Paul Weller In November Issue Of Uncut! Keep a look out for the November issue of the UK music magazine UNCUT. Paul has a feature where he does an album by album look back at this career. 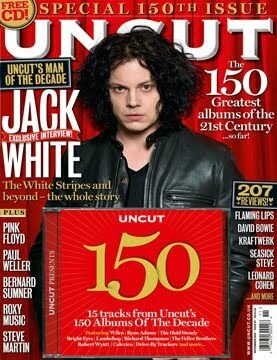 The issue has Jack White on the cover. Courtesy Of Simon & Yann. Previous Entry Paul Weller Drummer Steve Pilgrim’s New Album!